Christopher Wright Interviewed by Jennie Runevitch of Channel 13 Eyewitness News. Indianapolis - If you’re planning to remodel a room or install new windows, it will likely cost you more starting Thursday. 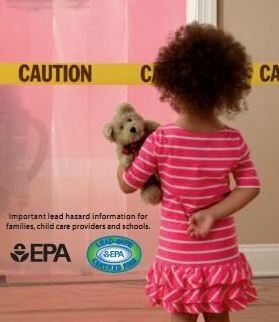 That’s when new federal regulations take effect to prevent exposure to toxic lead paint. The Environmental Protection Agency’s Renovation, Repair and Painting Rule affects contractors who renovate homes, apartments and child care facilities built before 1978. It does not apply to do-it-yourself projects, but the EPA recommends they take precautions too. Nearly two decades in the making, the regulations aim to protect families, particularly children, from the dangers of lead-based paint. Poisonous paint can cause permanent brain damage in children younger than six years old. Now contractors have to do much more to prevent exposure. Anything less, and they’re breaking the law. Christopher Wright is an EPA certified renovator. He is president of Wrightworks, LLC contractors and serves as the president of the Central Indiana chapter of the National Association of the Remodeling Industry. “Anyone working in a home, in an older home built prior to 1978, they need to understand this. We have to prevent dust from getting into other parts of the home and potentially being ingested by a child,” Wright said.